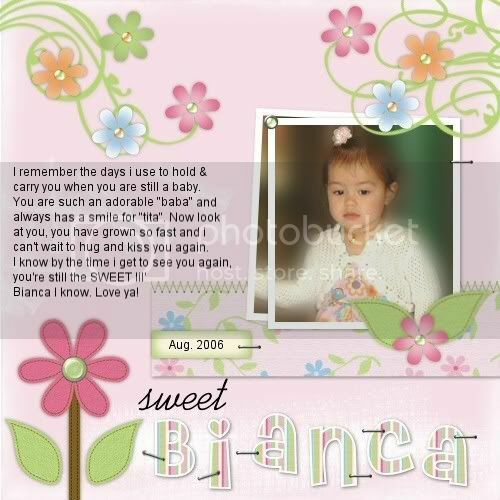 have a new exciting and very sweet kit “SWEET BIANCA” up on sale at the SCRAPPING GARDEN. It is on sale at only $3.64 (25% off from it’s reg. price of $4.85) from. Oct. 3- Oct. 15, 2006 only, So hurry buy it now.! This is my sweet niece Bianca Joy, whom i named my new kit.